Glacier National Park is located in a remote part of Northwestern Montana. 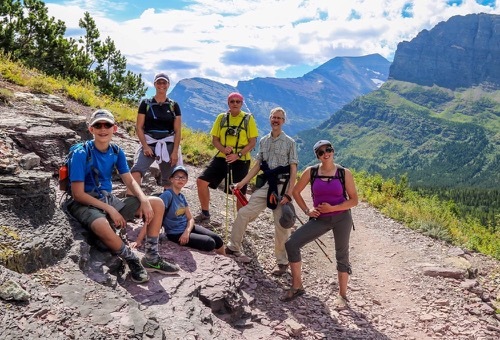 Known to Native Americans as the “Shining Mountains” and the “Backbone of the World”, Glacier National Park preserves more than a million acres of forests, alpine meadows, lakes, rugged peaks and glacial-carved valleys in the Northern Rocky Mountains. The park takes its name from its most prominent features of deeply carved glacial cliffs and remaining glaciers from the last ice age. 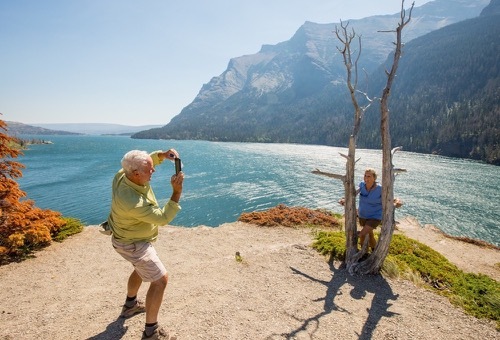 Glacier is one of the most beautiful places in the U.S., and a must-do adventure. With the glaciers that give the park its name receding, a visit is all the more compelling. Native Americans first arrived in the Glacier area some 10,000 years ago. The earliest occupants were the Salish, Flathead, Shoshone and Cheyenne. The Blackfeet arrived around the beginning of the 18th century and soon dominated the eastern slopes of what later became the park, as well as the Great Plains immediately to the east. The park region provided the Blackfeet shelter from the harsh winter winds of the plains, and supplemented their traditional bison hunts with other game meat. The bands of Indians were followed by European western expansion and soon miners and homesteaders entered the area. Finally in 1891 the Great Northern Railway was completed and the area quickly became a tourist destination. Glacier National Park’s diverse habitats are home to nearly 70 species of mammals including the grizzly bear, wolverine, gray wolf and lynx. Over 270 species of birds visit or reside in the park, including such species as harlequin ducks, dippers and golden eagles. Glacier provides the core of one of the largest remaining grizzly bear populations in the lower 48 states and is the center of important research on the large land mammal. Just as diverse as the park’s animal life is the park’s plant species. The park’s plant cover is largely divided between moist and dry coniferous forests, and sparsely vegetated rock, snow, and ice. To a smaller extent the park has dry meadows and prairies and even some small deciduous forests. Conservation efforts for the park began in the late 19th and early 20th centuries. People began to recognize the area for its scenic beauty and a need to protect it from commercial interest. In 1885 George Bird Grinnell went on an expedition into the remote Glacier wilderness and took away a passion for the area that pushed him and others to create a National Park. The Great Northern Railroad saw the area as an important tourism destination for their line, leading the company to successfully lobby for federal designation of the park as a National Forest in 1897. Because of its forest designation it was still open to mining and logging but just a few years later Glacier became the 10th National Park and today is one of the most visited.